After winning the league in such stunning circumstances last season much should be expected of Chelsea going into 2017-18. But with the uncertain futures of a few massive stars and the departure of one crucial midfield giant, many are beginning to doubt that Chelsea can be repeat champions. It’s practically a reality that the Blues haven’t a shot at performing to the same level they managed last season. They did after all win more Premier League games in a single season (30) than any other team in the history of the league. The last time the Premier League had repeat champions was in 2009, with Manchester United’s unreal Ronaldo-Rooney-Tevez trio under Sir Alex Ferguson. It’s pretty much unprecedented in the Premier League with the quality that all the teams have to offer and so banking on Chelsea to win the title again is far riskier than betting on them to just simply do well and make the top three. Chelsea’s lineup going into the new season is also incredibly intriguing. Nemanja Matic’s sudden departure to Manchester United has condensed the shortlist to be Kante’s partner down to just Fabregas and Bakayoko and it is unclear which one really will suit Conte’s side best at this moment in time. Costa could also be on the move and if he were to go, Morata and Batshuayi would both be fighting for the right to replace him in the lineup while Conte continues to look for an upgrade on Marcos Alonso, which seems practically an impossible task. 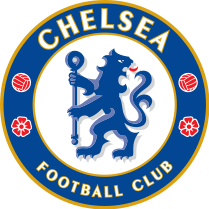 Chelsea really are one of the most intriguing sides going into the 2017-18 season and with so much to dissect this really will be a very interesting Premier League team guide. Although Chelsea have made a few blockbuster signings, Conte’s lineup may stay almost exactly the same as to how it was last season. Fabregas is the likelier choice to replace the departed Nemanja Matic than new signing Tiemoue Bakayoko while Costa could easily remain up front even despite the massive-money move for Alvaro Morata. The three centre backs are also unlikely to be too troubled by the arrival of German centre half Antonio Rudiger while Pedro could easily continue to keep Brazilian superstar Willian out of the side. Overall, expect a relatively unchanged 2017-18 lineup from the side that lifted the 2016-17 Premier League title. All three big money signings could be set to force their way into the 2017-18 lineup, especially if poor performances from the squad’s more reliable stars ensue. 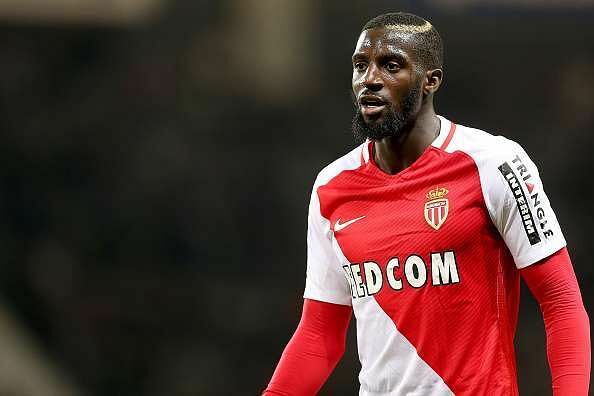 Bakayoko in particular may very well be favoured to Fabregas as Conte often preferred to have two defensive midfielders in the centre of the park and the Frenchman is capable of occupying the exact same role as Nemanja Matic. Alvaro Morata may also be set to star, especially if Costa chooses to move away while poor performances could force club captain Gary Cahill to the bench in place of ex-Roma defender Antonio Rudiger. Willian could also steal his place in the side back away from Spanish winger Pedro if he can reach top form. Again though, this could be a relatively unchanged lineup from the team that won the 2016-17 title. N’Golo Kante really is just so crucial to everything good about Chelsea and that trend will likely continue in 2017-18. He made more tackles and interceptions than any other Chelsea player in 2016-17 and was always seen as one of the key driving forces behind their Premier League win. The Frenchman’s role in Antonio Conte’s infrangible Chelsea unit just can’t be understated and it’s hard to imagine they would have made quite as massive of an impact on the 2016-17 Premier League season without him in central midfield. He’s not just one of the best players in the league, he’s one of the best players in the world and if Conte and Chelsea are going to challenge for the title this year, he is going to need to be in tip-top form yet again. The way that Chelsea play, big and strong centre halves, who have the ability to bully forwards off the ball, are a necessity. Andreas Christensen is one such player and with the departure of both Kurt Zouma and Nathan Ake, he could easily find himself in a position where he is next in line to replace an injured star at the back. The 21-year old spent the last two seasons playing in the Bundesliga for Borussia Monchengladbach and elevated his game drastically during that time period. He’s now coming back to Chelsea a much more mature player and doesn’t appear to be set for a third successive spell out on loan. Conte may very well see the Danish defender as part of his plans this year and if he is given a chance to shine there is virtually no way he won’t succeed in Conte’s side given the way they set up and what their core values are all about. Chelsea have made a splash this summer transfer window in making several impressive signings but you just get the feeling that they haven’t always gotten their way these past few months. Romelu Lukaku decided to join Manchester United instead of Blues while Nemanja Matic also decided to swap blue with red, joining the Red Devils as well. Conte should also be disappointed that he hasn’t managed to keep a hold of versatile defender Nathan Ake who has made a 20 million pound return to Bournemouth. Kurt Zouma, Nathaniel Chalobah and Ruben Loftus-Cheek were all also let go, Chalobah the only one on a permanent basis however as he makes an impressive move to Marco Siva’s Watford. Zouma and Loftus-Cheek meanwhile are headed for loan-spells at Stoke City and Crystal Palace respectively. On the more positive side of things the Blues have signed Real Madrid’s goal-scoring centre forward Alvaro Morata, AS Monaco’s key man in midfield Tiemoue Bakayoko and even Confederations Cup winner Antonio Rudiger who joins from Roma. The fees for all three were absolutely outrageous, but with a club of Chelsea’s stature, they can afford to spend big on the big names in order to win big and attempt to take home the Premier League title for a second successive season. In continuation, Asmir Begovic also decided to make a return to receiving regular minutes with his move to Bournemouth and Willy Caballero will act as his replacement as he departs Pep Guardiola’s Manchester City. HOW WILL BAKAYOKO FIT IN? Nemanja Matic’s surprise move to Mourinho’s Manchester United may have come as a shock and may seem detrimental on the surface but with Tiemoue Bakayogo in their ranks, the loss and the blow will be much softer. Bakayoko does all the same things that Matic does and does many like passing, chance creation and finishing, even better than the Serbian international. If Conte does wish to operate with two defensive midfielders as he did last season and continue to keep Fabregas out of the lineup, expect Bakayoko to fill the exact same role that Matic did and not just that but develop an insanely positive relationship with N’Golo Kante as well. They are both young French midfielders, who both only had their breakthrough seasons relatively recent and the both of them are phenomenal tacklers and ball winners, meaning this could be one deadly duo in central midfield for the Blues. The hardest part for Bakayoko will be just keeping Cesc Fabregas out of the lineup and if he can manage that, the 22-year old is going to have a stellar first season with Chelsea Football Club. Thibaut Courtois will win the golden glove. Chelsea will make it to the final of the FA Cup. Diego Costa will stay at Chelsea this season but will not be featured quite as heavily with the arrival of Alvaro Morata. Willian will be the league’s highest substitute. Cesar Azpilicueta will play every single minute of every single game. Nemanja Matic’s loss to Manchester United will hurt Chelsea more than expected. N’Golo Kante will be within the league’s top five for most interceptions made. Eden Hazard will be nominated for Goal of the Season and Player of the Season. It’s not as though Chelsea don’t have a shot at becoming repeat champions, but if history repeats itself, the Blues will likely be far and away from winning the title again this year. Performing to such a high level is hard enough when it’s all in the same season, but it’s even higher to maintain that same level when there is a massive summer break in between and expectations are that much greater. Teams should be better at figuring out Chelsea’s 3-4-3 system by now and we started to even see that at the end of last season like Manchester United’s 2-0 victory over the Champions. But although the Blues are unlikely to be quite as strong as they were last year, they should still be able to at the very least cruise into the top three. Antonio Conte is a brilliant manager, one of the best in the world and knows his way around a football pitch. With his quality off the field and the quality on the field of players like Kante, Hazard and Costa, Chelsea could be set to challenge for the title at the very least.